ChalkMate is an ideal solution for creating indoor self-adhesive chalkboards for schools that can be easily removed and repositioned. 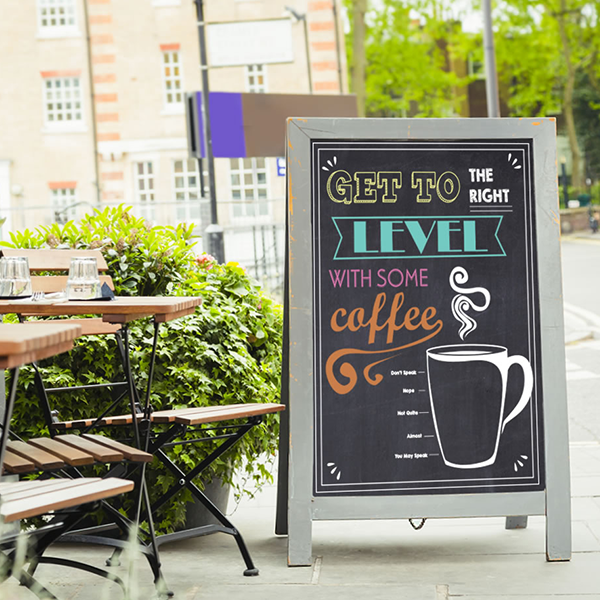 They are also a great way of presenting a ‘market-style’ portable chalkboard finish in a retail setting or as menus and price lists in a restaurant or cafe. ReTac ChalkMate has a traditional black chalkboard finish that can be used with standard chalk or liquid chalk markers. It utilises ReTac® ultra removable adhesive technology to create impromptu self-adhesive chalkboard walls that are easy to apply, reposition and remove without surface damage. The specialist chalkboard finish PVC film can be installed on most smooth surfaces. A second version is available that features a permanent, pressure sensitive acrylic adhesive, making it ideal for fixture applications. Both versions can also be used to make unique, custom chalkboard decals from die cut shapes or designs. In addition, both versions will leave no residue behind when they are removed. 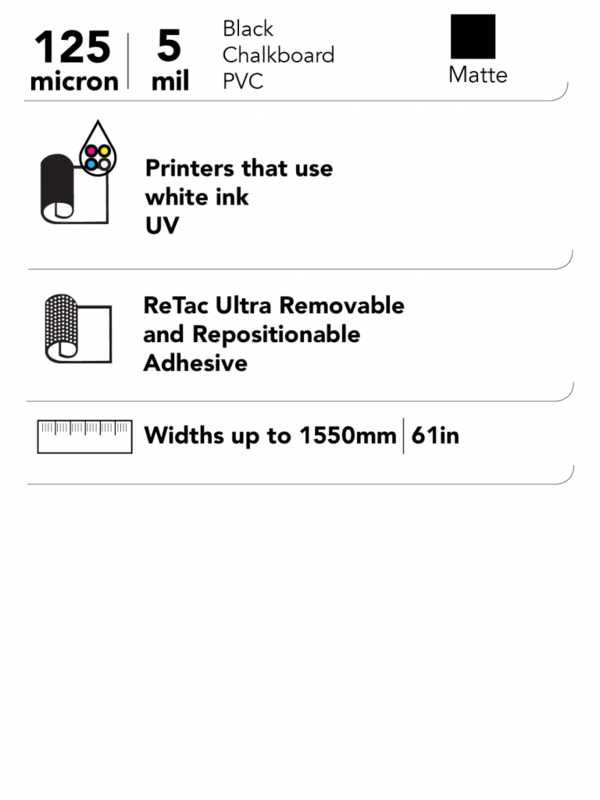 Ideal for in-store promotions and other interior use, ReTac ChalkMate has a Class 0 fire rating according to UK standards for surface spread of flame. This makes it perfect for applications public areas that require compliance with strict fire regulations, such as airports, hotels and hospitals.